There is no denying that that the Samsung Galaxy Beam is a pretty cool smartphone. Specs-wise, it is nothing but a mid-range Android handset, but what really makes it stand out is the built-in 15-lumen projector, capable of turning a flat surface of your choosing into a giant screen. In case you already have a different Samsung Galaxy smartphone, however, you can still enjoy some pico projector goodness with the Samsung EAD-R10. 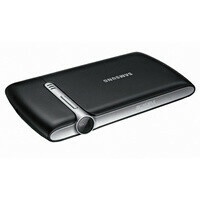 Also known as the Samsung Mobile Beam Projector, the device offers up to 20 lumens of brightness output. It can connect to any Galaxy smartphone with MHL support, but HDMI input is on board as well, so you can also hook up your home theater system to it. The resolution of the projected video is 640 by 360 pixels, just like what you get on the Galaxy Beam. We know it isn't much, but still, keep in mind that the gizmo fits in your pocket. 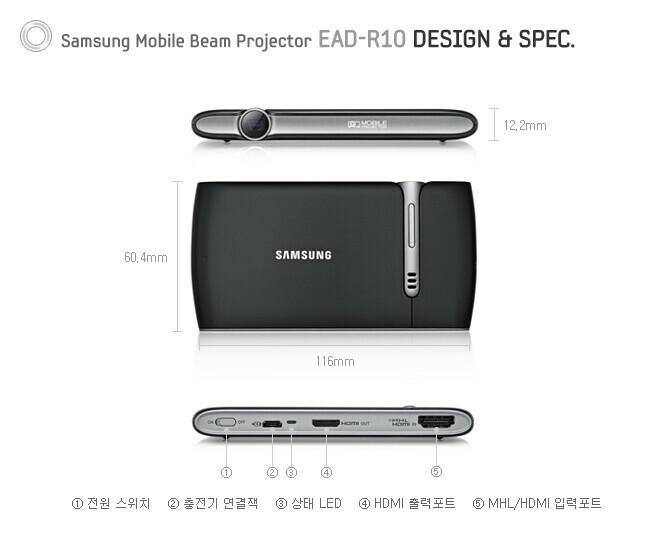 Furthermore, the Samsung Mobile Beam Projector packs a 1,650mAh battery and a 0.5W built-in loudspeaker. But before you reach for your wallet, we have to inform you that the Samsung EAD-R10 pico projector is sold only in South Korea. We hope it will be available in other markets soon, though. The accessory is priced at around $227. can consider it . this is real innovation not some round shape on the cover and then patent that.